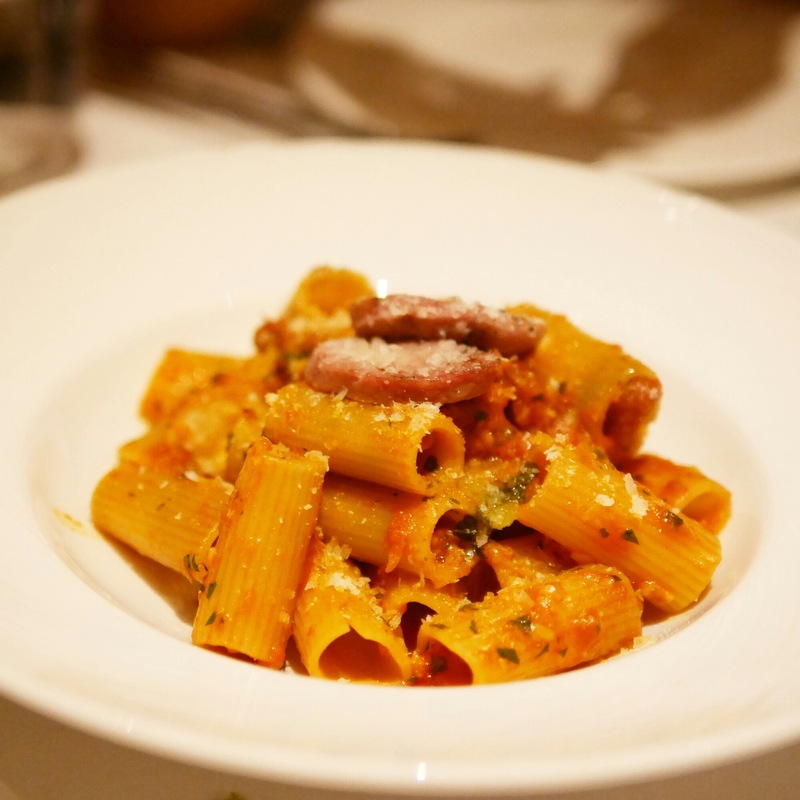 In Hong Kong, pasta can be associated with Italian food, cafe food and cha chan teng (cheap local eateries) food alike; it can be quite a casual affair. But it doesn’t have to be. If you’re looking for a place to treat your loved ones for a special day or celebration and they love pasta (well, who doesn’t? ), Gradini is one of few places which does delicious Italian food in an intimate yet fancy setting. I usually don’t put great significance to atmosphere/environment/service of a restaurant as long as the food is good. But realistically, those three factors are instrumental to ensuring a great dinner experience, when it’s important. Gradini ticks all the boxes. Located on the first floor of beautifully designed boutique The Pottinger Hotel on Queens Road Central/Stanley Street, Central, Gradini boasts an even more impressively fine yet cozy interior, perfect for an intimate gathering. To kickstart our meal, we had the seared king scallops with cherry tomatoes (HK$188) and the seafood salad (HK$168) – these were great refreshing starters for our meal and the seafood (especially the scallops) in both of these dishes were fresh and delicious. 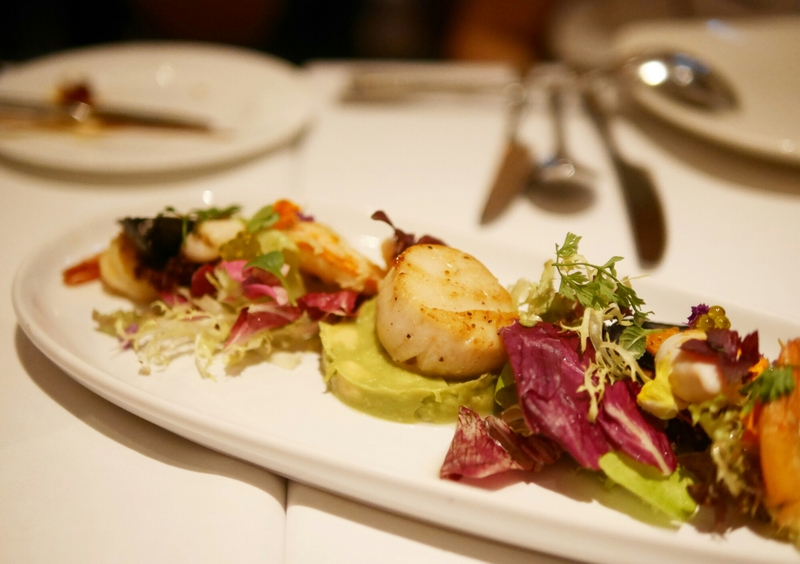 The two dishes turned out to be quite similar – both salad-y – and I’d probably recommend just getting the seafood salad, since there’s more variety on that plate and you still get to sample a juicy scallop. 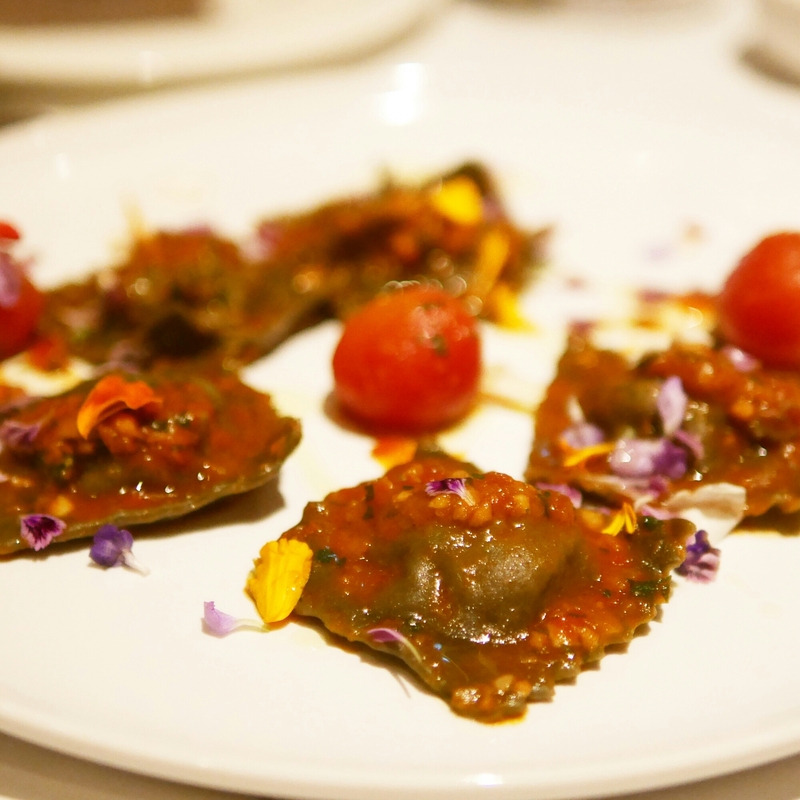 The lobster ravioli (HK$248) – this was quite the unique dish of the night. By the name itself, it doesn’t sound like something off the charts. But each ravioli was filled with very sizeable chunks of lobster meat and each bite was hence much more lobster-intense than any lobster ravioli I’ve had in the past. This also means the ravioli is, unlike usual, much less cheesy. I liked that it wasn’t too filling, it was intriguing and not something you’d easily find the taste of elsewhere. Their pasta menu was actually very appealing and I wish I could’ve tasted more. For example, they had a pasta in oxtail sauce and langoustine risotto – definitely the two dishes I’ll be coming back to try! 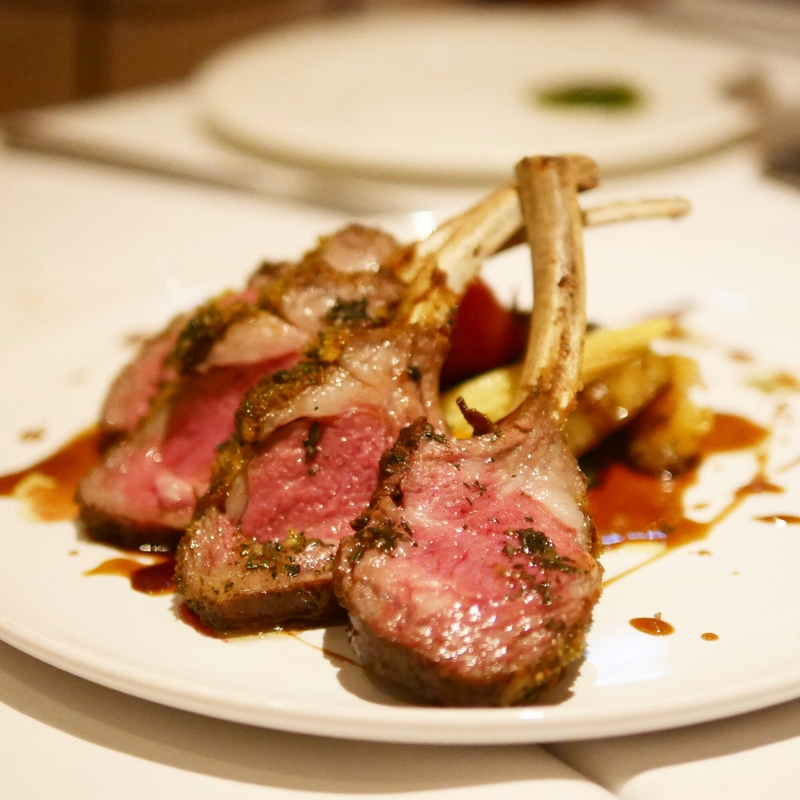 You can ignore everything I’ve written on this review but you have to read this: the lamb rack (HK$398) is a MUST order (and the capitalising of the “must” was necessary)! I’ve never felt so much conviction before but it has to have been the best lamb rack (or lamb in general) I’ve ever tasted in my life. It was cooked perfectly to medium rare, as we requested, and the flavours were aromatic but not gamey at all. The texture was tender and had a good fat ratio too. It’s definitely one of the most memorable dishes I’ve had in a long time. We sampled a few desserts off their menu but none of them were too outstanding. 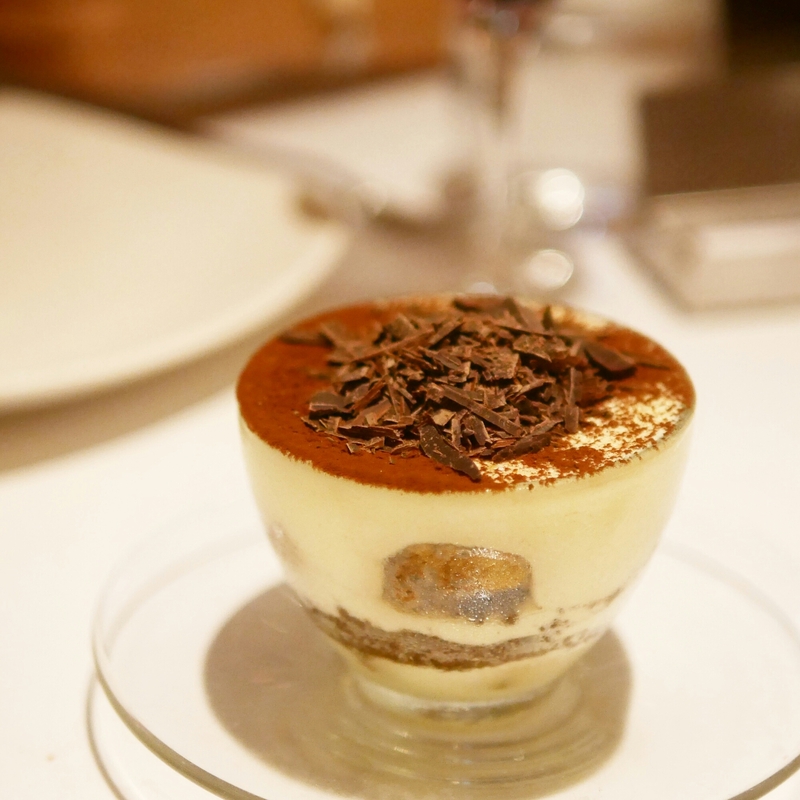 I liked the tiramisu (HK$88) the most – just good classic version of it. But I still think my homemade one, using this recipe, is best! When you go to an expensive restaurant, no question you should expect everything to be more than absolutely mind blowing. Well, while not every dish was revolutionary, the food served was all fresh, delicious and interestingly classic. Order the lobster ravioli and lamb rack and everything else should fall in place to construct a beautifully memorable night for anyone. Next What to Eat in Kennedy Town?